facebook, twitter, youtube get updated very often. Check it out. 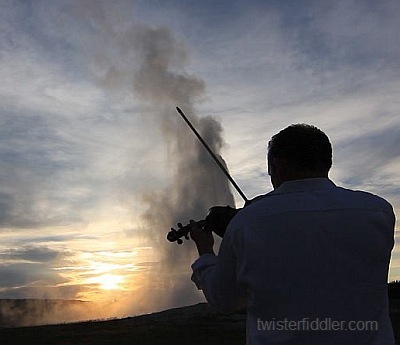 TWiSTERfiDDler Venti, vidi, amati. The Wind, I saw, I loved. Monument Valley Navajoland. 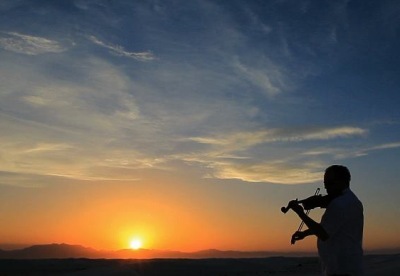 Ennio Morricone, Once Upon a Time in the West. Plan A : live a normal life. 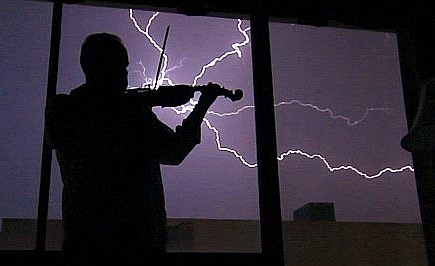 Plan B : play violin in front of a tornado. 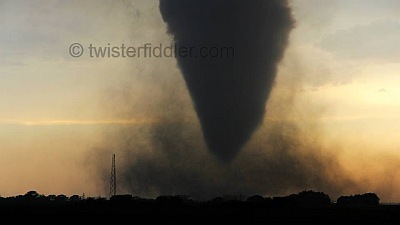 This page is about Plan B.
but the chase goes on in Europe's Tornado Alley - Italy ! HOT : KANSAS HABOOB ! Chased storms in the Great Plains of the U.S.A. from mid-May to early July, almost 2 months. Saw several tornadoes. Supercells. Horseshoe vortices. 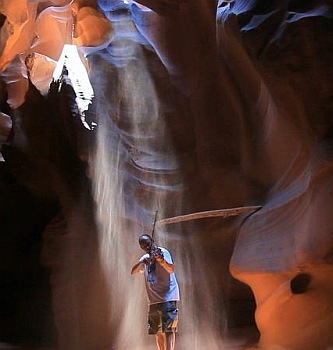 Dust Devils. Dust storms. A Haboob. Hurricane-force winds. Lightning. Hail. All kinds of storms and weather. 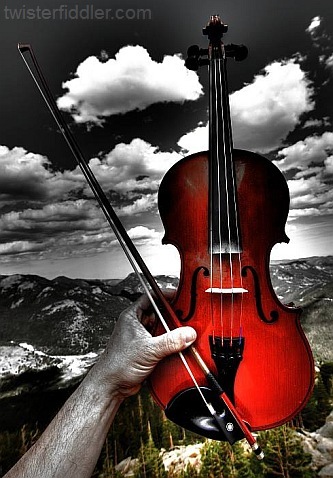 Played a lot of violin. 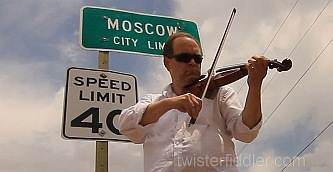 Played violin in windy conditions. 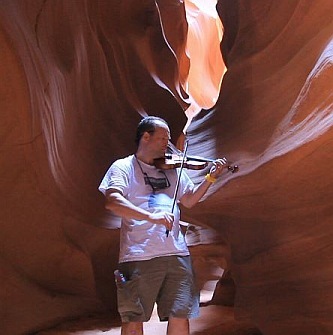 Played violin in Monument Valley, in Antelope Canyon, at the VLA, in front of a horse, in front of Old Faithful geysir , at White Sands and Devil's Tower and in Moscow KS and many other places. 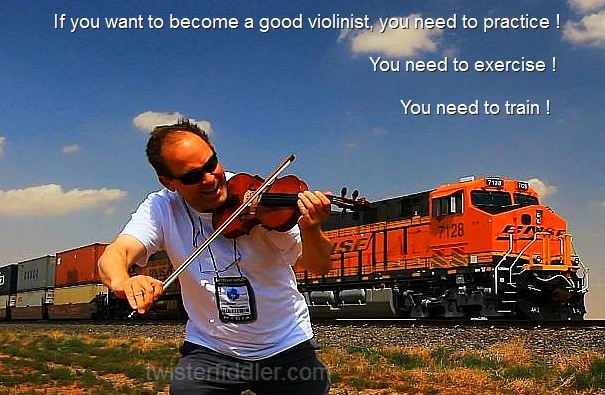 But failed to play violin in front of a tornado. 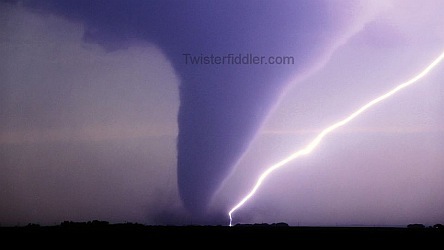 The tornadoes I saw either had too much rain/hail/lightning for me to safely step out of the car without risking to damage my violin. Or the tornado was rainwrapped and not visible, or at night. Or the storms were moving too fast . Or there was too much traffic. Or the tornado-warned storm did not produce a tornado despite obvious strong visible rotation.Or the storm went outflow dominant before a tornado could form. Or the police closed the road that was leading to the tornado. Or I was chasing with the wrong people who chose a wrong target. Or I stopped chasing to help friends with flat tires or stuck in mud. Or I chose not to corepunch that huge hail because I respected my rental car too much . Or I decided to not go after that storm because it was too far from that landmark I wanted to film a storm at. So many reasons . 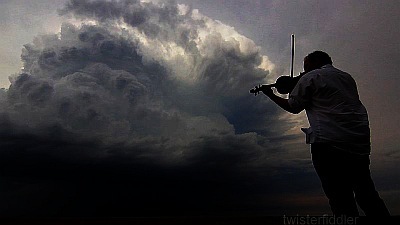 But bottom line : it ain't easy to play violin in front of a tornado. 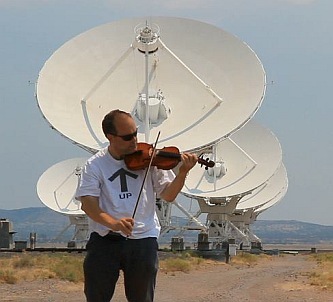 or it presses too strongly on the strings, depending on what side of the wind you're at. 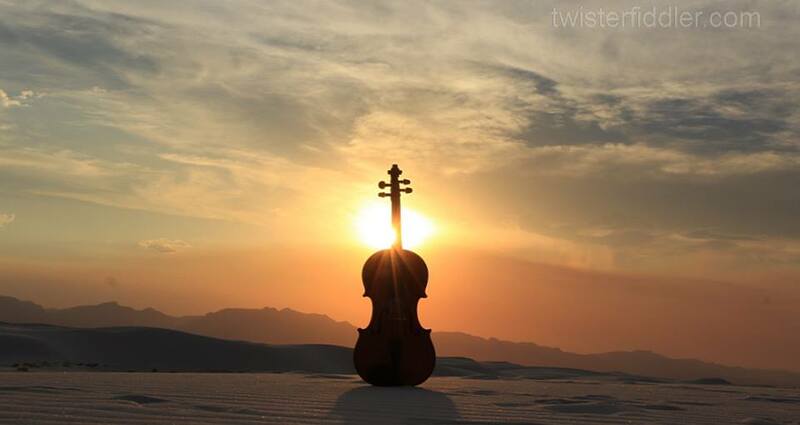 An all-new violin museum is to open in Cremona on September 14. I plan to be there. also, I have shot tons of FHD 1080p video in Tornado Alley and will now need a few months to edit a full movie. This will keep me busy for some time. 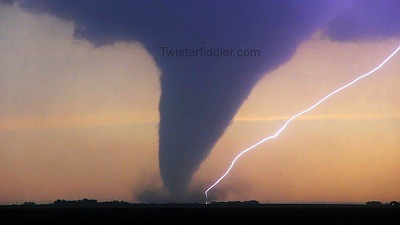 Fiddle in front of a twister. Stay tuned. Hang on. It's gonna get windy ! For your viewing and listening pleasure, some of the videos will be with stereo sound and wind filter, in FHD 1080p, best enjoyed on large screen with fast connection. 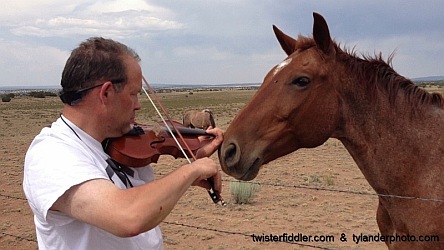 Twisterfiddler is very openminded and extremely multiculturally tolerant and does not intend to insult anybody, anywhere on this planet and beyond. A certain spirit of humour may be embedded here and there. Some scenes may not be suitable for all audiences. Viewer discretion is ... whatever ! If you feel you are too young to see / hear what you see / hear , please grow up and come back when you're ready. no need to have a paypal account, you can send money via paypal just with a credit card.